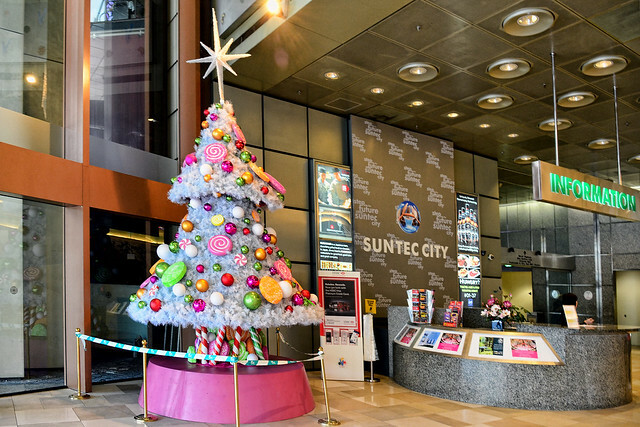 The sweetest Christmas tree for 2011 has to be the candylicious tree at Suntec City Mall. 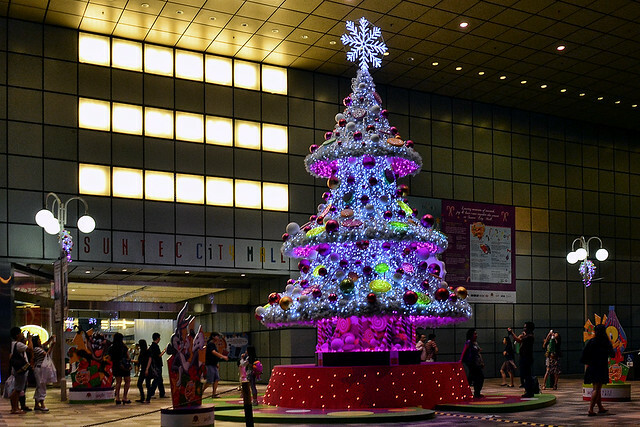 Topped with a snowflake, this three-tiered tree is all covered in colourful baubles, sweets and lollipops. Look closer and you would see that even its trunk is made up of candy canes! 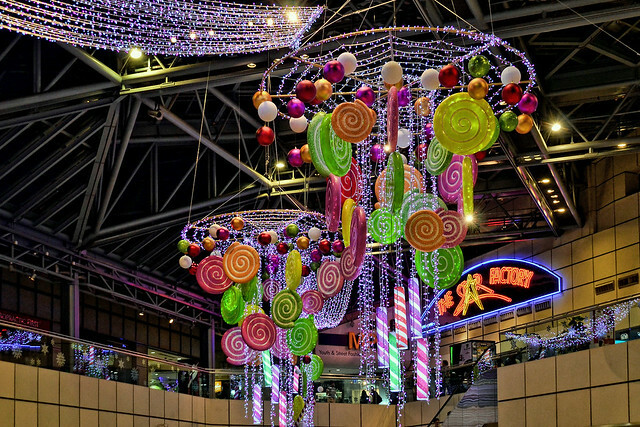 Apart from the big candy tree at the mall’s entrance near the underpass, smaller trees can be seen adding a dash of colour to various parts of the mall. The pink and white colour scheme and bright candy colours sure add to the cheery spirit of Christmas. 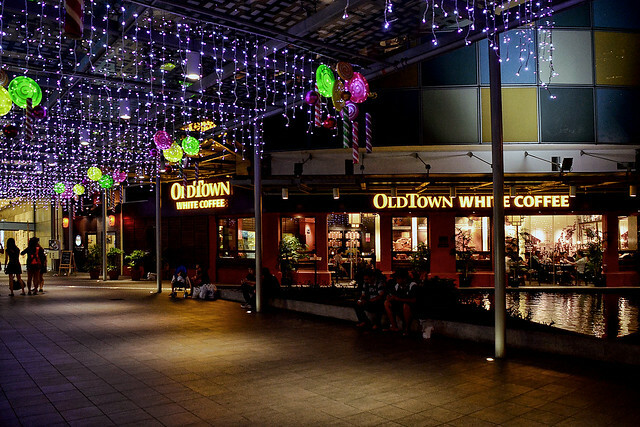 That’s Old Town White Coffee, a café chain from Malaysia that sells traditional coffee, toast and local dishes. At night, the tree is lit in unconventional colours of magenta and blue, which aren’t normally found on the traditional Christmas palette.